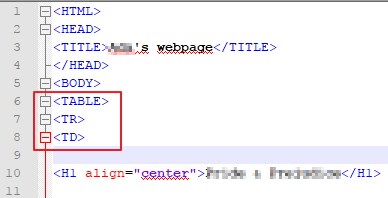 Then go down to the bottom of your code and add the closing tags for them. Add a few Enters before so you won't accidentally delete them later. 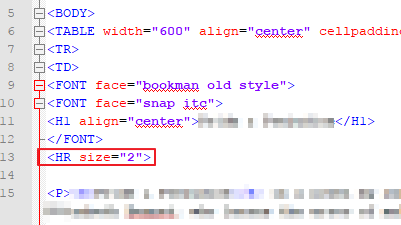 We want to give the table a fixed width of 600 pixels, so inside the opening TABLE tag, add width="600". 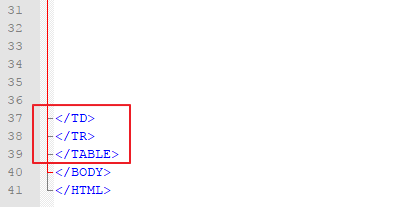 We'll center the table in the browser by adding align="center". Also add a margin (cellpadding) and give it a small border. 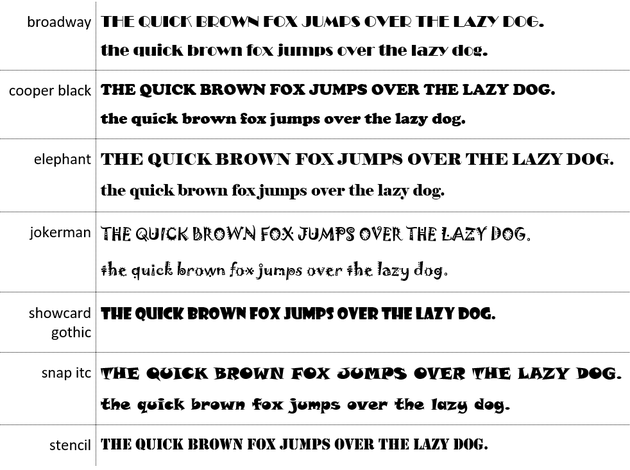 Add a FONT tag after the BODY tag with the face attribute. Copy and paste it. Add the closing FONT tag after the H1 is closed. 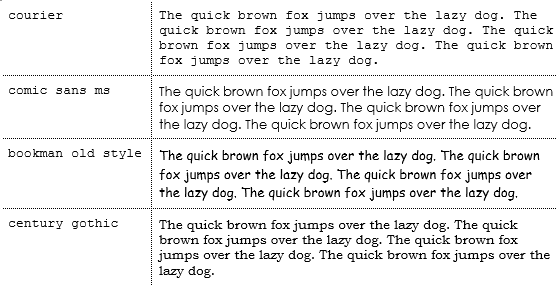 Then select a font from the following lists, and copy (CTRL+C) them, pasting them inside the quotation marks (CTRL+V). 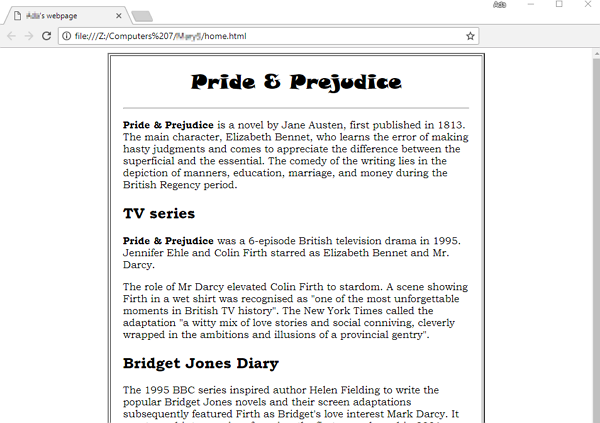 You should see your page heading and the text being different. If not, check the spelling of the font type. 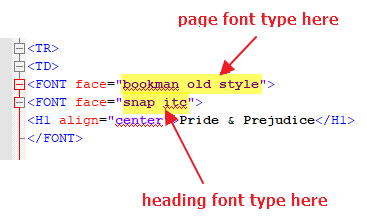 Add an HR tag under the H1 closing FONT tag. Then set the size to 2 to start.